Are you planning a dream bathroom for your home? We all know that the bathroom is one of the most important spaces in any house when it comes not only to comfortable living but also to adding property value. However, what should you keep in mind when drawing up your dream bathroom design? Here, we look at the ten key elements you should definitely consider before you embark on your ambitious project to make sure that you won’t be disappointed by the final result. One of the most important elements of any bathroom is the shower. Although a tub is always wonderful for relaxing and chilling out, your shower is the place where you head most days for your hair washing and cleansing routine. That means you need a shower that ticks all the boxes. Consider the space that you have available and choose the biggest and most luxurious shower stall that you can find to fit your space – there’s nothing worse than being crammed into a corner if you don’t have to be. A dual shower is the best possible solution, especially if you add built in storage for you soap, shampoo and towels – spa-like pampering in the comfort of your own home! Even if you’re a shower person at heart, it’s always good to have a bathtub too. There’s nothing quite like a hot bath when you’ve had a stressful day and is anything quite as wonderful as stretching out in the bubbles with a glass of wine and some scented candles? Choose a tub that suits your preferences – a free-standing one is often the best solution if you’re trying to achieve timeless elegance in your space. While we’ve looked at the fixtures of your bathroom, another extremely important element of the design comes in the decorative elements. What type of walls do you want? 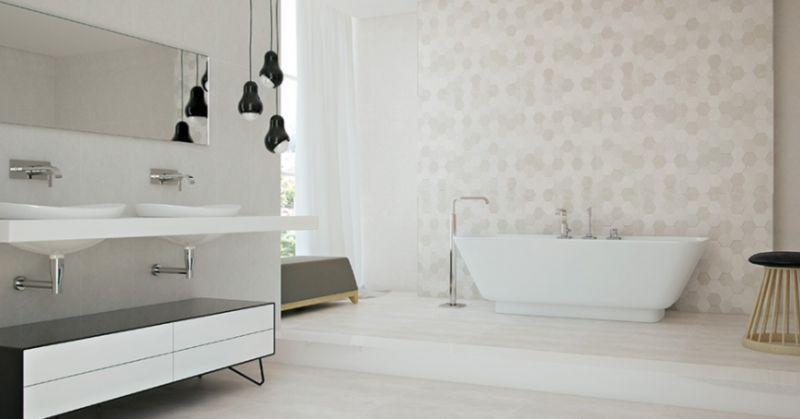 Are you considering tiles? Wood? Wipe-clean vinyl panels? Simple paint? Whatever your style preferences, you need to make sure that you choose materials that won’t be subject to damp, mildew or mold otherwise you’ll just be building up problems for yourself. We all spend a surprising amount of time sitting on the toilet, so when you’re in the bathroom you’ll want to be sure that you’ve chosen a toilet seat that is comfortable and at the right height for you. There are several shapes of toilet to choose from, not to mention colors, flush types and heights. If you can, try sitting on a few different models so you can see which suits you best. Although your faucets may not be the first thought in your mind when designing your dream bathroom, choosing the wrong color or style could seriously impact on your bathroom’s style. Choosing an elegant, high quality metal finish such as chrome, brass or stainless steel is the best solution for a bathroom that will stand the test of time. One of the things that many people forget when designing a bathroom is to put in enough storage for towels, toiletries and accessories. There are many clever solutions for even the smallest bathroom, including under sink cabinets, mounted cabinets and in-shower stands so you’re sure to find something to suit your space. Getting the color scheme of your bathroom right will make a big difference to the ambience of your room. 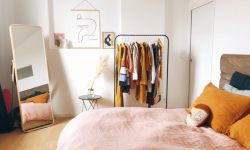 Usually, it makes sense to choose a neutral color which you can then decorate with splashes and pops of bright shades to bring a little more vibrancy and life to your room. It’s wise to choose a color such as white or cream for your walls and then add touches of your favorite color in the form of a shower curtain, towels and bath mat which can then easily be changed when you tire of the shade and replaced with something more up to date. It’s always wonderful if you can benefit from lots of natural light in your bathroom, but not everyone has that advantage. If you can’t light your bathroom with a large window, having sufficient artificial light that is natural-looking enough to not hurt the eyes is essential. Choose stylish light fittings that lift your space to a new level of elegance – a chandelier is often a great way to add a timeless touch. You may be wondering why plants have made it onto this list of things to think about when planning your dream bathroom, however they have a key role to play in making your room feel beautiful, bright and welcoming. Hardly plants that thrive on moisture on a windowsill will bring the outdoors in and will bring life into your space. One of the most fun elements of planning any bathroom makeover is adding the perfect detailing. Choose bright colored, fun accessories that can bring a more personal touch to your room. By selecting bright fluffy towels with matching bathmat and shower curtain, you can add color without it being too overwhelming and put your own stamp on your bathroom. Have fun planning your dream bathroom, and happy bathing!